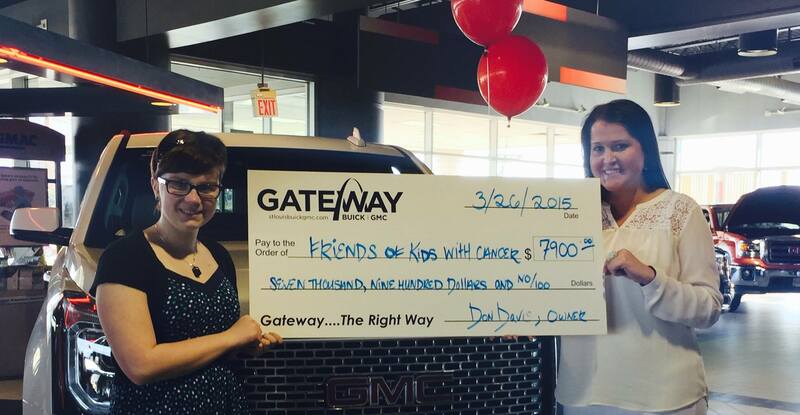 Friends of Kids with Cancer | Gateway Buick GMC presents check after AMAZING promotion...again! Gateway Buick GMC does it again! HUGE promotion results in AWESOME donation! Our great Friends at Gateway Buick GMC (820 James S McDonnell Blvd, Hazelwood, MO 63042) are INCREDIBLE! In September 2014, they raised $7,000 for Friends of Kids with Cancer by running a promotion of donating a portion of the proceeds from any car sold during that month! After graciously deciding to host this promotion for a second-time in January 2015, Gateway Buick GMC held a check presentation to gift a donation of $7,900! Fortunately, we had a patient and her family present to join in the celebration! 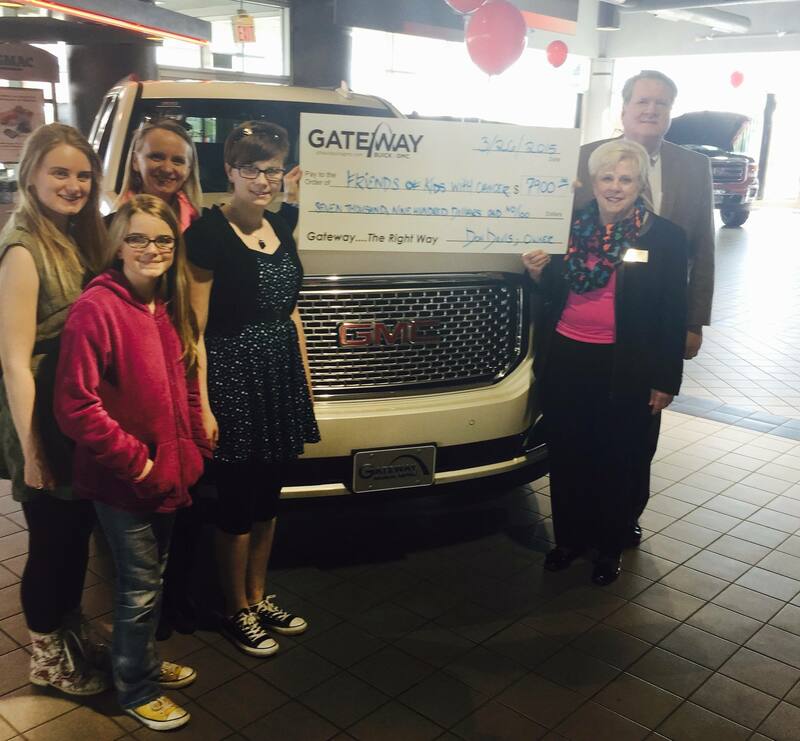 THANK YOU Gateway Buick GMC for being so kind and helping kids with cancer...be kids!